In this chapter I take a closer look at ways in which one can pursue an aspect of a text, such as characterisation or language. 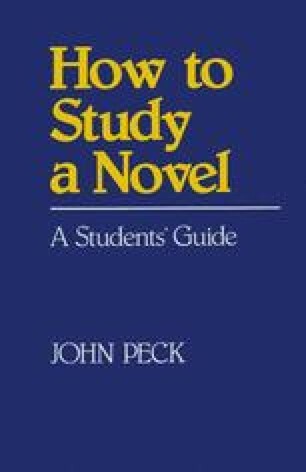 But, before looking at aspects of a novel, it is always necessary to make a basic analysis — employing the method outlined in the first two chapters — as any more detailed comments must develop out of a firm sense of what the novel is about, and in what ways it is distinctive. Consequently, the first part of this chapter is devoted to a brief general discussion of The Portrait of a Lady.